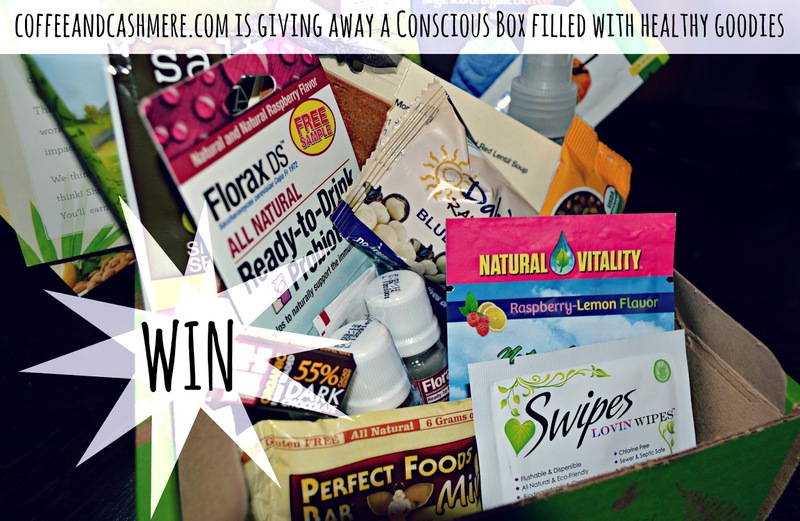 CONGRATS Melissa K. for winning the Conscious Box giveaway! Be looking for an email from me asap! Thanks to everyone who entered! I absolutely love the element of surprise. And I love gifts. I guess both of those kind of go hand and hand. Well, a great company, called Conscious Box, decided to deliver a box of surprises to people's doorsteps each month. And they don't just ship random things out to you. They prepare a box of healthy and organic items. Ba da ba ba ba, I'm lovin' it. That really isn't a good jingle to put right there. But I did. I also love irony. 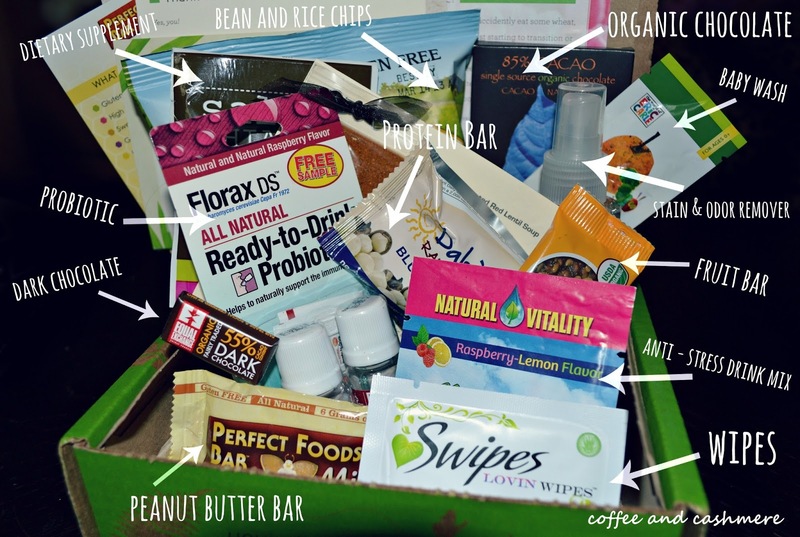 "Conscious Box helps you discover the purest, healthiest natural products in the world from the most ethical companies! From natural beauty to health food and non-toxic home goods, you'll find better alternatives for all areas of your life. Open up your world today with Conscious Box!" My box came filled with all the things listed above and more. With all the terrible ish we are subjected to on the daily, not to mention what all is put into our foods, it's nice to know that there are companies that still care about healthy living. We need to start preserving this little thing that we call OUR PLANET. Also, Coffee and Cashmere readers will get 25% off a box with the code: LOVELIFE. 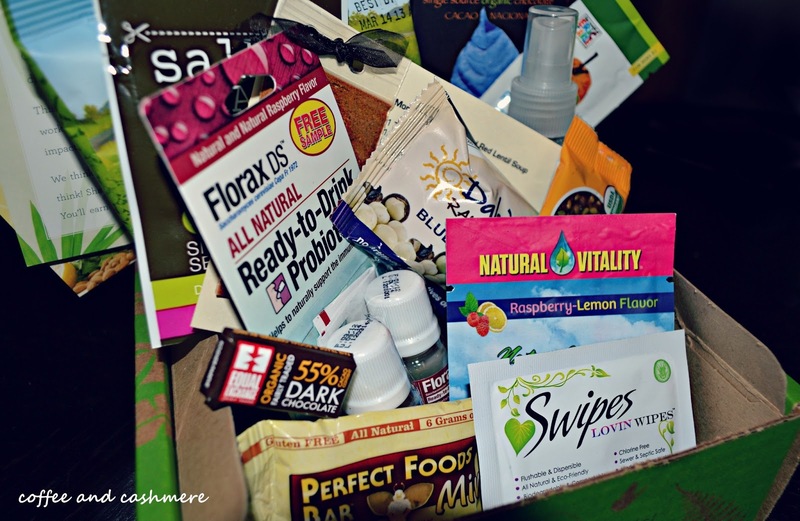 Thank you Conscious Box for doing your part in getting people healthy one box at a time. I have always been curious about Conscious Box and their goodies. I love trying new products that I've never heard of or ever gotten to use before. I'd like organic bar soap. 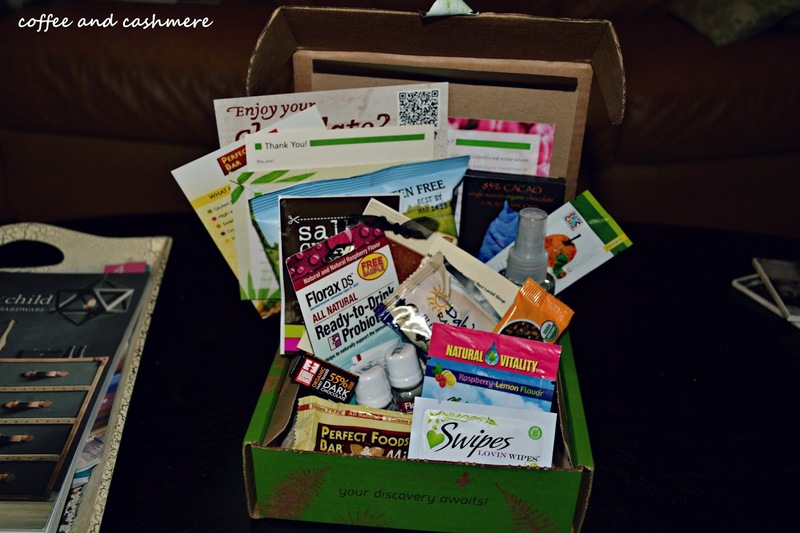 I had never heard of Conscious Box until now but that's an amazing idea! 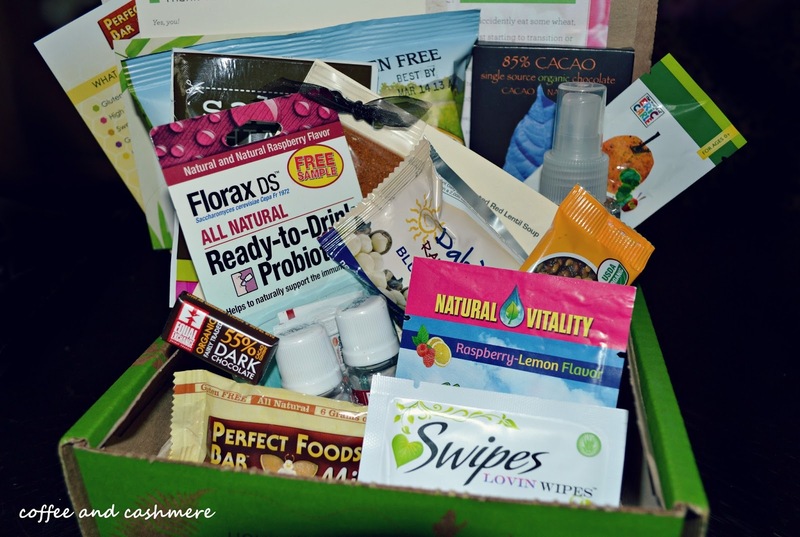 I'd love to get a box full of environmental and health friendly products!